The information here is intended to provide a basic understanding of how legal information is structured. There are many links to further sources of information, and links to organisations that offer legal help. Members of the legal profession seeking legal information or resources should login and visit the Digital Library. The Law Library of Victoria provides a broad range of services to legal professionals who were admitted to practice in Victoria, or who have a current practising certificate in Victoria. If you are a Victorian legal professional and have not yet registered for access, please contact us. Learn about the Victorian justice system and how it relates to the federal courts. Where to find the written judgments that are published by many Australian courts and tribunals. What is legislation and where to find it. 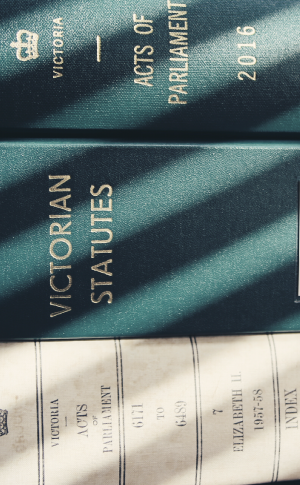 The Law Library of Victoria produces a fortnightly bulletin containing legal updates as well as Library news and events. All are welcome to subscribe or view the bulletin archive. Information on finding legal help and resources, as well as resources for legal history buffs. Links to daily hearing list of all matters scheduled in selected courts to be heard each day. Information about other Victorian libraries.